The week after Christmas is the perfect time for a family trip. Kids are off from school, and you can have a very nice weekend away together over the New Year. Here are some of the best family-friendly destinations for a New Years vacation. If you want to have some fun, head towards Dickens World Amusement Park in the capital of Great Britain. This “Winter Wonderland” has everything you wish for in a family weekend: music, dance, rides, boat rides, party poppers, and other exciting attractions. The indoor snowfall, to the sound of Big Ben’s chimes at midnight, is a performance you will not soon forget. Plus, the fireworks display at Big Ben is a must-see event in London. And for New Year gifts for your kids, visit Hamleys, the largest toy store in the world. Dubai has tropical weather all-year-round, with temperatures of 25°C all winter long. In addition to the lovely weather, theme parks abound in the capital of the United Arab Emirates. In 2016, four new parks opened their doors to visitors from all over the world. The four parks are IMG Worlds of Adventure, Motiongate, Legoland and Bollywood Dubai. Aside from lounging by the pool and wandering on the beach, you can also wear out your kids on new roller coasters, water rides, and film-themed attractions, like Shrek and Kung Fu Panda. Among New Year destinations for kids, Coffs Coast has some of the best attractions to offer your little ones. The New Year Carnival, magnificent fireworks, ample food and loads of exciting activities for children of all ages make it a very popular family destination. 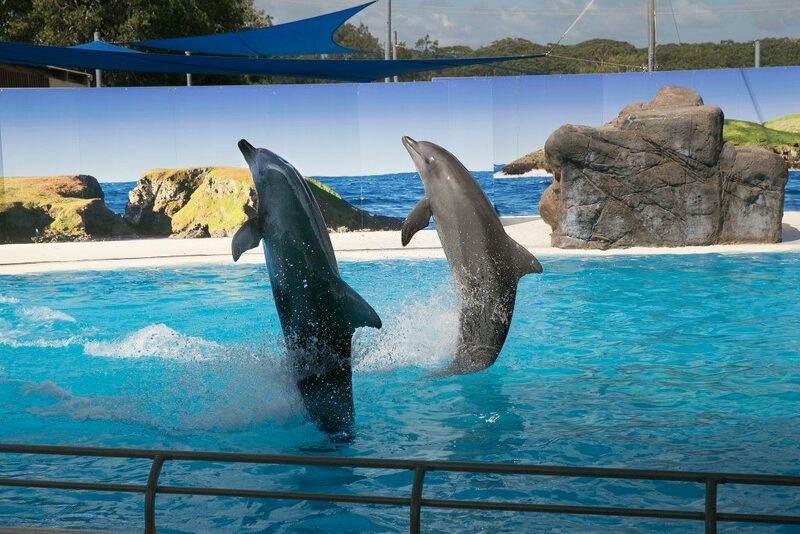 Your kids will love to feed and pet the dolphins at the Pet Porpoise Pool. Other activities include go-carting, ice skating, bowling, and horse riding. Also, Butterfly House and Zip Circus are great photo locations, and Jungle Bungle is an indoor play area just for toddlers. Come to Coffs Coast for exciting holidays and a unique experience! Sentosa Island in Singapore celebrates the New Year with fantastic colorful pyrotechnic displays and a most vivid dance party. Songs of the Sea is a one-of-a-kind performance of fireworks, waterworks, and light. Also, the Underwater World is sure to make your kids excited with electric eels, turtles, pink dolphins and a huge variety of fish. Combine your trip to Sentosa with a tour around Singapore, and you’ll have yourself a wonderful family vacation! For a family holiday vacation in the United States of America, we recommend visiting one, or several, of the country’s national parks. Yellowstone is one of the most fascinating. Plus, it is also one of the best places to camp in Wyoming, as well as in the entire United States. The park’s three hundred geysers will make people of all ages excited! The most famous of them, Old Faithful, erupts seventeen times a day, so you can’t miss it. Also, the Junior Ranger program for kids (Ages 4+) is an excellent opportunity to explore the park together. Kerala is one of the most popular travel destinations in India. It has everything you need for a great winter vacation: a tropical climate, sandy beaches, lakes, waterfalls, mountain ranges, palaces and ancient landmarks. In 2012, Kerala was named one of the ten paradises of the world. Tours to the region usually include visiting tea farms, wildlife sanctuaries, and cruises along backwaters. A family visit to the oldest European settlement in India will also be great fun! Costa Rica regularly tops the list of the happiest countries in the world. It offers a rich variety of wildlife adventures and activities for everyone in your family. Zip-lining and river-rafting will be an exciting experience. However, if you want to relax, you can take a bath in one of the natural hot springs on the volcano slopes. At the same time, your kids can have fun observing monkeys, macaws, poison-arrow frogs and other strange miniature beasts. If a vacation on an island is your idea of a perfect family holiday, head to Costa Rica, and you won’t regret your decision! If you don’t dream of a winter vacation in the tropics but prefer to ski, then you should choose one of the many ski resorts in the United States. If you are planning a family vacation, pick a resort where your kids will have an opportunity to learn how to ski too. For example, Killington in Vermont provides instruction for children. It also offers a variety of cozy cabins for New Year celebrations, with interesting board games and marshmallow toasting.